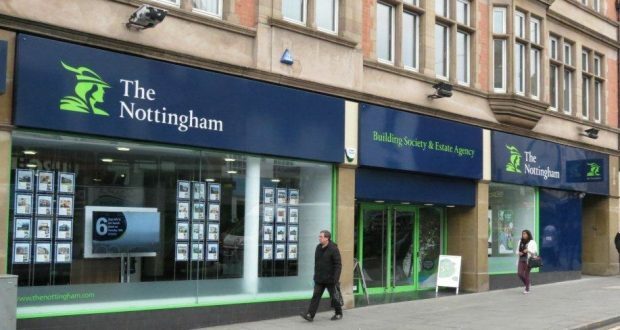 Nottingham Building Society (NBS) has renewed its contract with Incentive FM for a further 3-year term which includes the remit to include its recently expanded network. The deal is worth in excess of £4 million and builds on a 16-year partnership that has consistently delivered high standards and improved efficiencies. Link Asset Services has awarded a three-year contract to Incentive FM Group to provide a range of facilities services across its UK estate. The contract, worth in excess of £1m, follows a competitive tender which focused on the need for strong, responsive management and a personal service. Service delivery will be led by the group’s specialist cleaning company, Incentive QAS, in collaboration with Incentive Tec, the building services specialist. They will provide a bespoke response that includes responsibility for all mechanical and engineering aspects and cleaning of the estate. Other services within the contract scope include security monitoring, washrooms, pest control, window cleaning and consumable supplies. 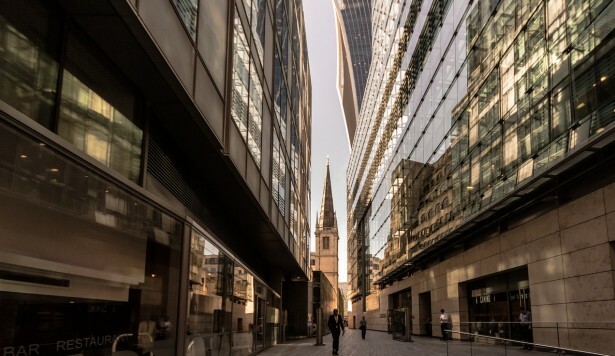 Incentive says that dedicated cleaning teams will be assigned at each of six UK sites, and both planned and reactive maintenance will be delivered through a national mobile engineering team. Around 40 staff will transfer to the new supplier under TUPE and will undertake additional training. A single dedicated account manager will work across all sites and services. The operation will be supported by the Incentive QAS helpdesk, which will provide the client with live asset information, details on all statutory compliance and planned maintenance. 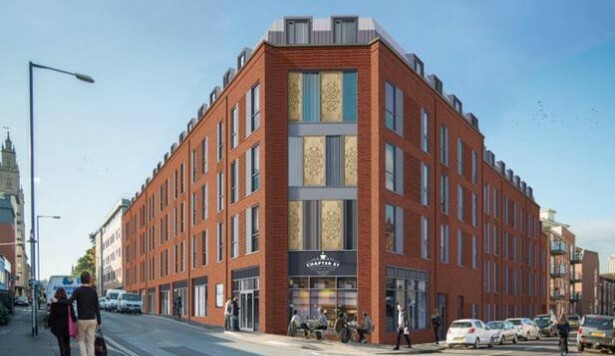 Incentive Tec, the building services business within Incentive FM Group, has been appointed on a new development of student accommodation in Dean Street, Bristol. The company will be working closely with the main contractor, construction business WRW, on the 12-month project. The multi-million pound development will include 225 bedroom spaces arranged in self-contained cluster flats, together with ground floor units comprising a cafe, office, and gym, as well as ancillary facilities including communal study space, cycle parking and a shared garden. Incentive Tec will be responsible for the design and installation of all the mechanical and electrical aspects of the accommodation, including CCTV, door access, fire alarms, smoke vents, sprinklers and air conditioning. The remit also includes all plumbing and heating requirements. The deal follows a recent installation and maintenance appointment in Somerset. Incentive FM has been awarded a three-year contract to provide the services at the Charles Darwin, Pride Hill and Riverside Shopping Centres. The London-based firm will deliver all security, cleaning, mechanical, electrical and building fabric services, operating seven days a week. Incentive FM has been awarded the contract by managing agents Montagu Evans. The deal builds on the existing relationship between the two companies, with Incentive FM already responsible for services at St Nicholas Shopping Centre in Sutton and Friars Square in Aylesbury. Four years into its relationship, this renewal further strengthens their relationship and is the third time that the contract has been extended. Under the terms of the agreement, SWC will continue to provide weekly window cleaning at 438 of the company’s restaurants across the country. 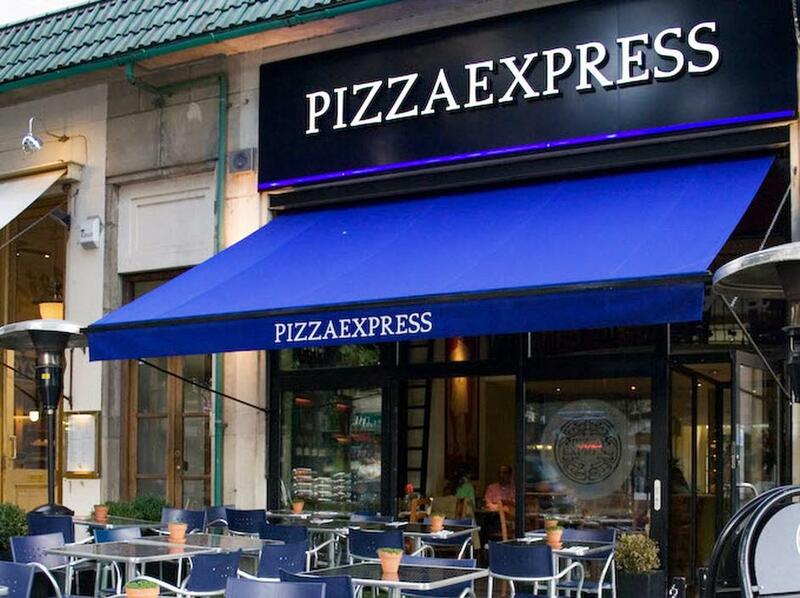 Since SWC started working with the company in 2014, it has focused on ensuring that the restaurants within the contract are maintained to a high standard whilst also keeping disruption to the minimum. This includes reacting quickly to any issues and delivering an efficient weekly service. 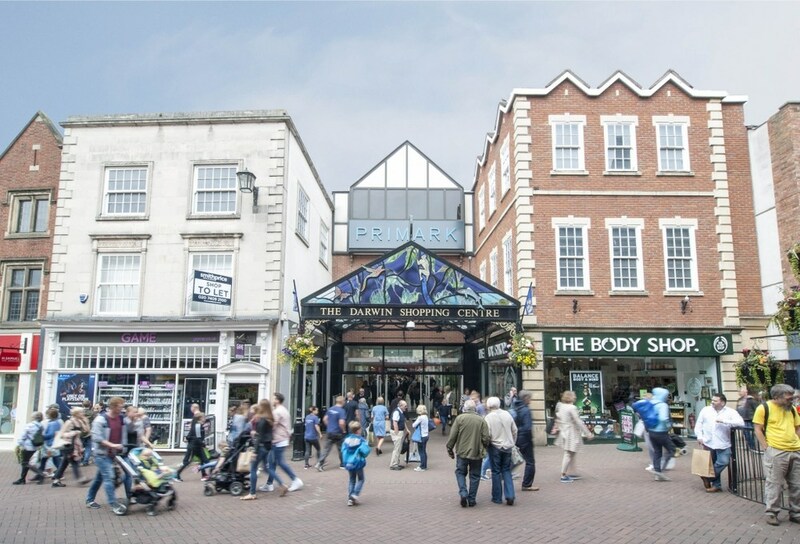 Incentive FM, the leading independent facilities management company, has been awarded a three-year contract by managing agents Montagu Evans, to provide a TFM solution at three shopping centres in Shrewsbury. The deal, worth in excess of £3 million over 3 years, builds on the existing relationship between the two companies, with Incentive FM already responsible for services at St Nicholas Shopping Centre in Sutton and Friars Square in Aylesbury. The Charles Darwin, Pride Hill and Riverside Shopping Centres are in adjoining sites in the town and have a large range of high street shops and restaurants. Under the terms of the contract, Incentive FM will self-deliver all Security, Cleaning and MEBF (mechanical, electrical and building fabric) services, operating seven days a week. 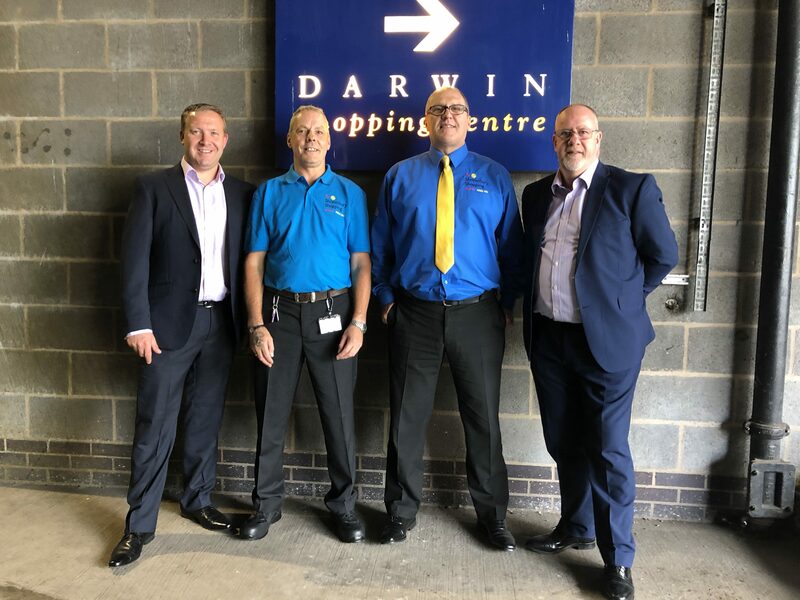 Here’s Incentive FM’s Operations Director Glenn Wilson & Regional Manager Steve Alderson on day one at the new Shrewsbury Shopping Centres contract with the Cleaning and Security Supervisors, Patrick Lowe and Andy Hayes.